We all know that “rain-shadowy” places are brighter than surrounding areas. But one added benefit of being in the shadow is that mornings seem to excel in terms of relative brightness to surrounding areas when compared to other times of day. There is nothing nicer than waking up to a bright sunny day and there is nothing worse than waking up to a day that appears as though it may never arrive at all! Studies show that a large dose of bright light in first several hours after wake up is highly therapeutic for people who are mood-light sensitive. So, this early morning boost in the rain shadow is perfectly timed for many people. There are several reasons why the mornings are comparatively bright in the center of the rain shadow. 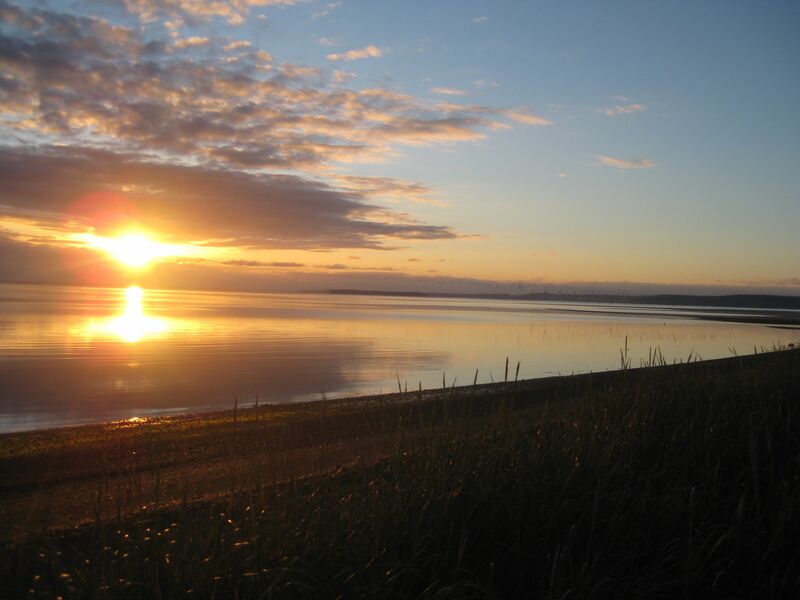 First the sunrises are unobstructed…as soon as the sun gets a few degrees above the horizon, it shines across the Strait of Juan de Fuca and hits the Dungeness plain. Then, given the flat terrain in the area, it is one of last places to be impacted by convective clouds. Often we have what appears to be a sunny clear day, then see the clouds gather over the surrounding terrain and but take their time to fill in over the flatter areas of the rain shadow…yielding a nice sunny morning. Many days the marine layer (aka fog and low clouds) may be be moving in. Often when this happens, a tongue of clouds and fog is clearly visible and moves right down the center of the Strait without actually affecting the rain shadow areas. It’s almost as though someone poured fog into the Strait and it ran right down the middle and into the Everett, Seattle, Tacoma basin without affecting Sequim. Here is a dramatic photo that shows the marine layer moving through the middle of the Strait. Finally, there are many full-on rain shadow effect days, where a significant storm is moving in from the West, and a blue hole sets up right over Sequim. Sunday September 13th, 2015 was one of those marine layer days that got a great dose of relief in the early hours. The day dawned dark and dreary in the Seattle Metro area yet light and bright on the Dungeness plain. At 7:30 AM, shortly after sunrise, rain shadow areas were recording over 35 times the solar radiation of the Seattle metro area. 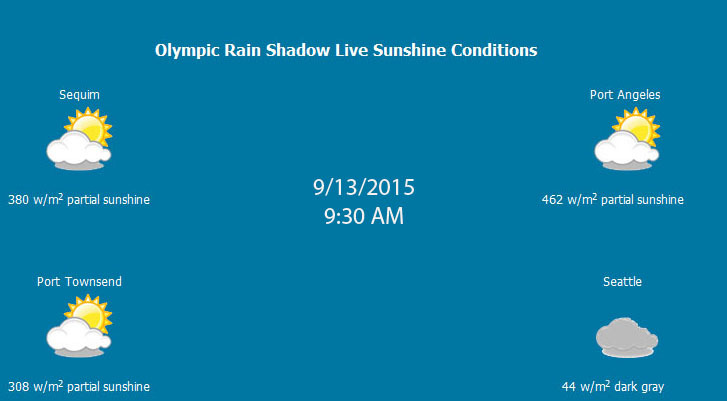 At 9:30 AM, rain shadow areas were still recording over 10 times the solar radiation of the Seattle area. So if you’re a morning person and the darker mornings are starting to get you down in the metro areas, make a run for the shadow! 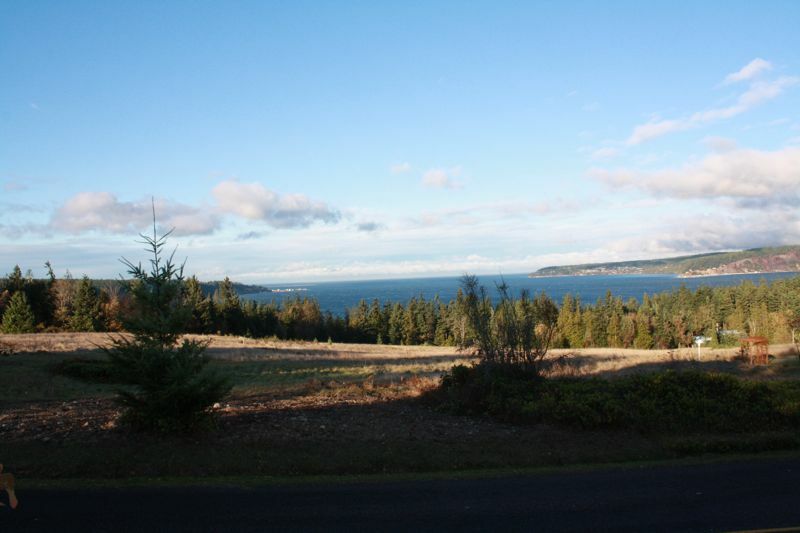 The rain shadow is a wonderful place for a beach walk, a bike ride, a sea kayak, or a south facing deck. But where to go when the sun sets? 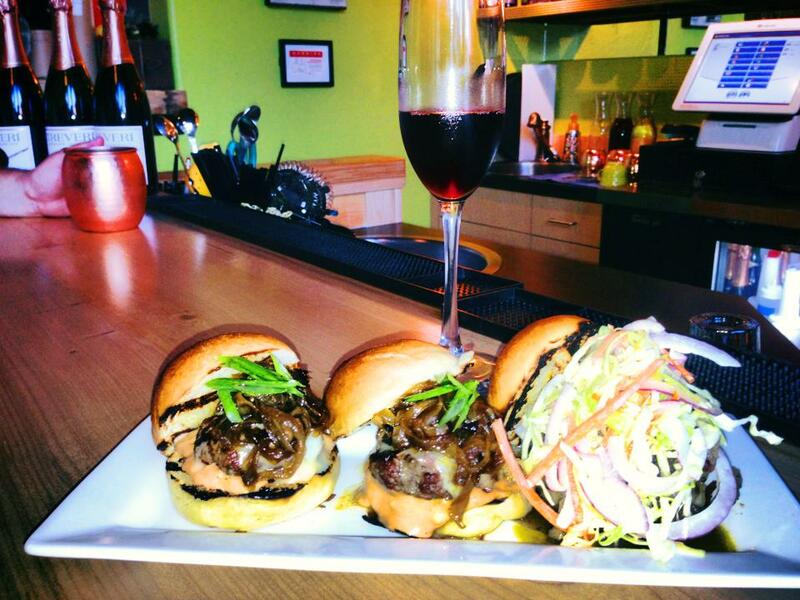 Where to mingle or get a great meal in Sequim? Thankfully, Sequim is lucky to have new restaurant that has made the above, often vexing questions, a little easier to answer! Blondies Plate has wonderful food. The menu includes a wide selection of starters, salads, smaller bites, and full meals. 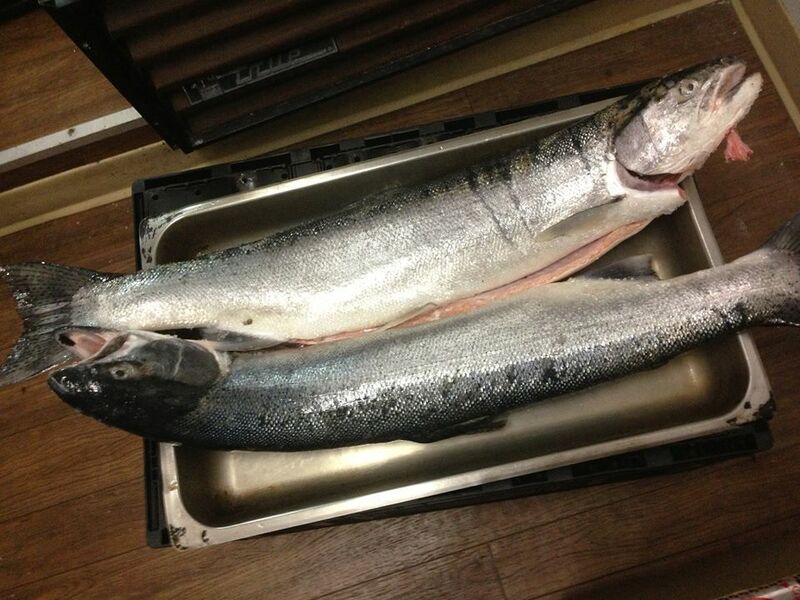 The skilled Chef makes excellent use of local vegetables, meat, and fish. For example, the beet salads are very tasty and sometimes the Chef makes wonderful smaller pasta dishes topped with either local vegetables or wild mushrooms. 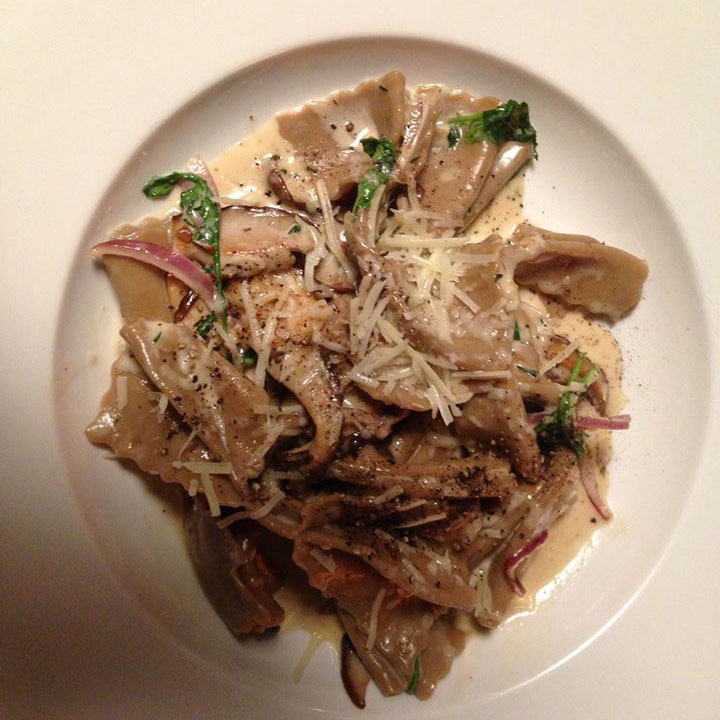 Check out this amazing Porcini Mushroom Bow Tie Pasta dish that was served this fall. 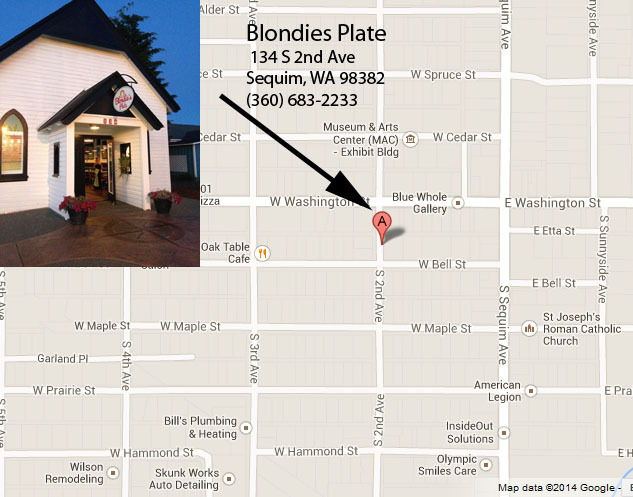 But it is not just about the food…Blondies has a wonderfully inviting atmosphere. The restaurant has a great little bar area where an eclectic mix of locals and visitors gather to sip a cocktail or swill a draft micro-brew. The mix of people I’ve run into at the bar span many ages and nationalities. In just the last several months I’ve run into Spaniards, South Africans, French, and Native Americans. People of all ages frequent Blondies bar; and it seems to hold particular appeal to the 30 something crowd as well as local professionals and retirees. Blondies hosts a variety of special events, from football parties, Halloween parties, trivia nights, etc. AND, there is a HAPPY HOUR. Blondies is easy to find. In fact, it is right in the middle of Sequim, set just one block from the main intersection of Sequim Avenue and Washington Street. Heading West on Washington Street, just take a left on 2nd Avenue and look for a very cool remodeled older building…open daily from 4-9 PM. Check it out; they also have a very active Facebook page with over 600 fans, and great reviews on Yelp. Blondies is one of several business leading something of a “Rain Shadow Renaissance”, some of which which we will be writing about shortly. If you are a local to the rain shadow, I encourage to support this, and other innovative local business. We are lucky to have them here! Mt. Baker represents the opposite of the Olympic Rain Shadow in many regards, with its exceedingly wet climate and high elevations. 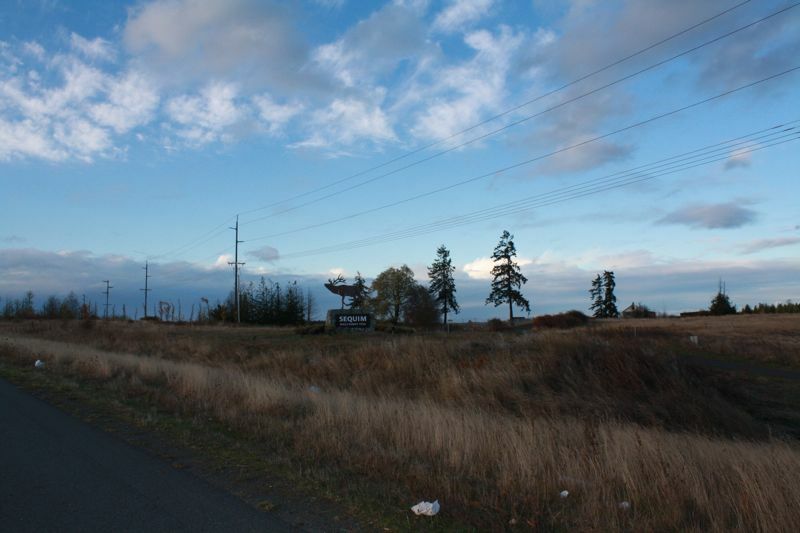 Geographically it is located approximately 75 miles from the center of the shadow in Sequim, and 40-50 miles from locations on Whidbey and in the San Juan Islands. Moderate elevation locations (<1,000 feet) in this region receive 60-100 inches of precipitation per year, a factor of up to six times rain shadow figures; the number of sunny days, or for that matter sunny hours, has not been measured, but speaking from personal experience, it is not large! Ironically, some of the best places to view or photograph this majestic mountain are located in the rain shadow. There are several reasons for this. From rain shadow areas, typically Baker is seen across a body of water, the Strait of Juan de Fuca, Rosario Strait, Sartoga Passage, etc. This allows one to appreciate the full relief of the 10,781 foot massif, and the mountain often appears to rise right out of the sea. Ironically, the closer you get to the mountain, often the harder it is to see. The mountain is ringed by smaller peaks in the 4,000 -6,000 ft range and these typically block many of the views of the mountain. Furthermore, low clouds and fog may obscure all views from areas close to the mountain, while the summit is visible from a distance. There are of course some exceptions, for example the views from Artist Point, Skyline Divide, and parts of Baker Lake can be exceptional. 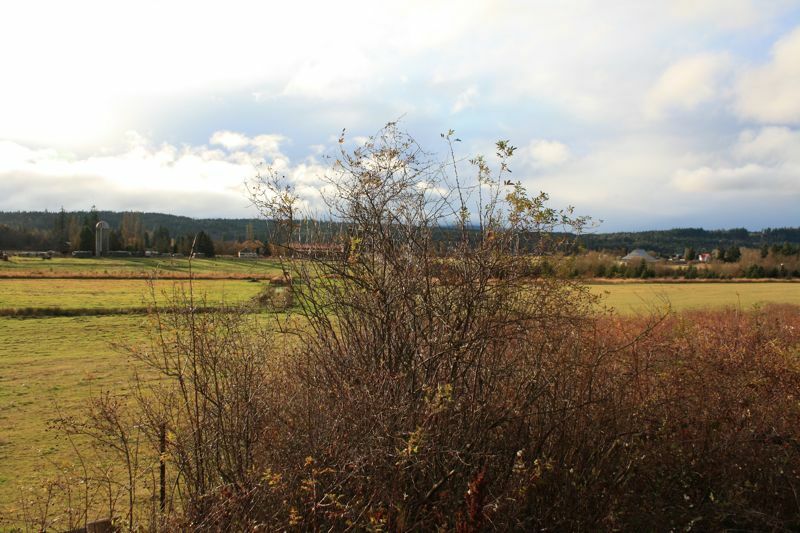 The first photo taken from Deming, illustrates how hard it is to appreciate Baker when you are relatively close to it, for example in Bellingham or other settled areas close to the mountain. 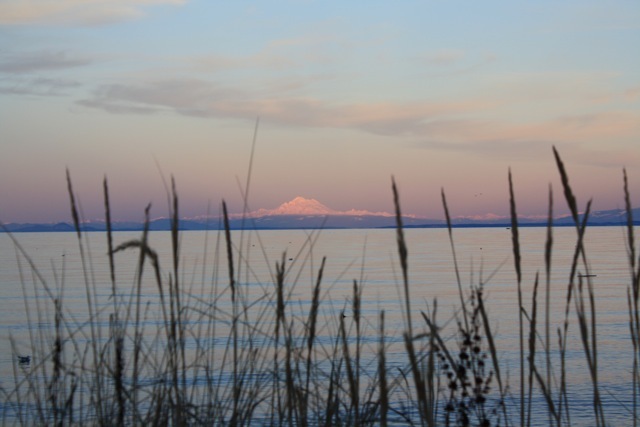 The next photo shows Baker rising from the waters of Juan de Fuca near Sequim. The final photograph shows the remarkable detail one can see and photograph (with a little help from advanced optics) from rain shadow areas. 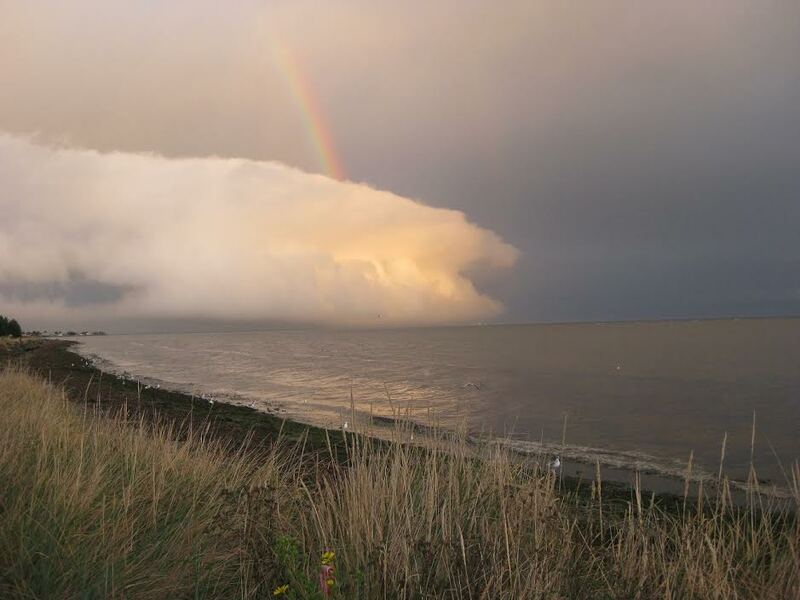 (Photo taken from Dungeness Spit). If you have a favorite photo you would like to share, upload it to the photo gallery, or feel free to send it to me (olympicrainshadow@gmail.com) and I will post it. 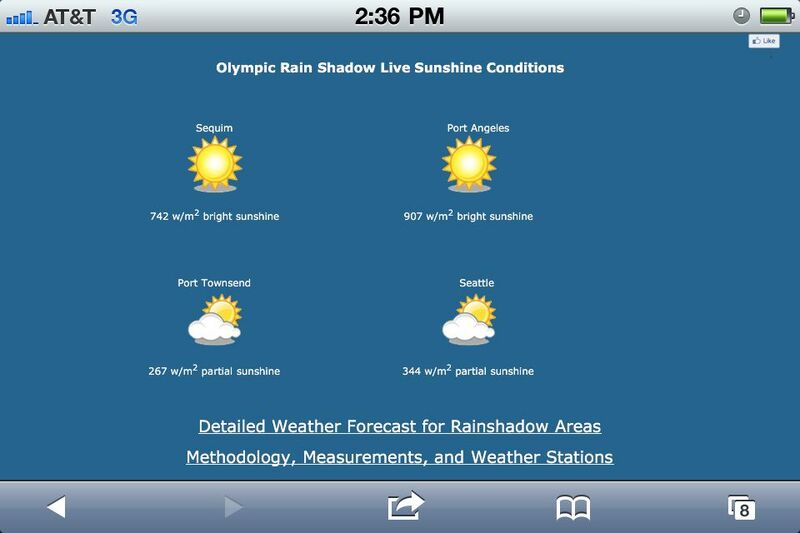 If you live in Seattle you have certainly noticed the distinct lack of sunshine during late May and early June, 2012. From a perspective of rainfall or temperatures this last month (May 15-June 14) may not have been that atypical, but what about sunshine? I looked into the incident solar radiation between May 15 and June 14th to see how many bright sunny days we actually had in Seattle, and whether the rain shadow offered some relief. Here’s what I found out. In Seattle this spring we had only six bright sunny days in the last month. Furthermore, in the first half of June we have had exactly one bright sunny day. Last year, which was a very cold and grey spring, we managed to have four bright sunny days in the first half of June. While I don’t have multiple years of data, I do know that we have had a stretch of really dark wet springs, as Scott Sistek of Komo recently reported on. And even when compared to last year, this year was exceptionally dark. Time to head to the rain shadow! 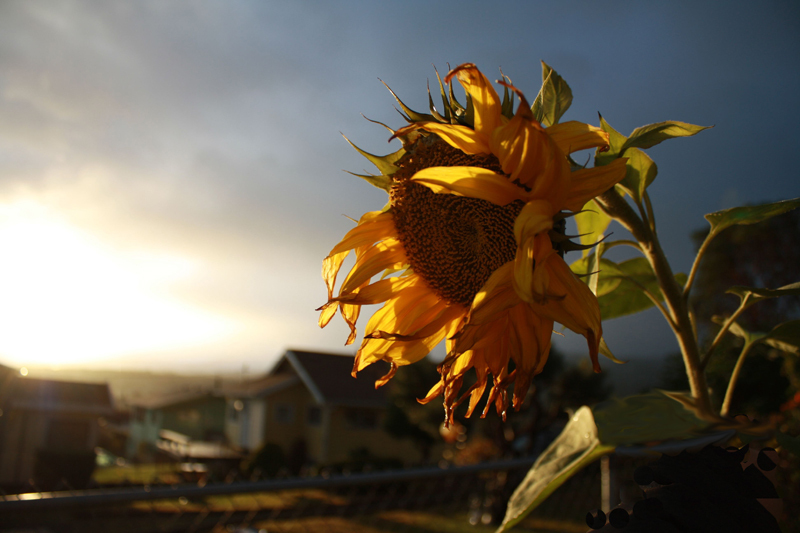 This year the olympic rain shadow offered significant relief from the June gloom in Seattle, with double the bright sunny days overall and four times the sunny days in June. Still June was not nearly as bright as last year, and four days out of 14 is not exactly blue bird. Given how few bright sunny days we actually had in Seattle, it is fairly easy to remember when they occurred during this period. Everyone remembers Friday and Saturday of Memorial Day weekend, the 25th and 26th of May. That WAS sunny, and I suppose counted double! Other than that we had three sunny day’s mid-week in mid May, and then only the one bright sunny day in June, which was on Monday June 11th. This late spring seems quite unusual to me. In terms of total incident sunlight, we are behind last year during this period in Seattle, with only 97% of the recorded total radiation of last year. We have had an active storm cycle with cold storms dropping snow in the mountains above about 4,500 feet frequently. We have had no extended periods of high pressure with back-to-back sunny days. 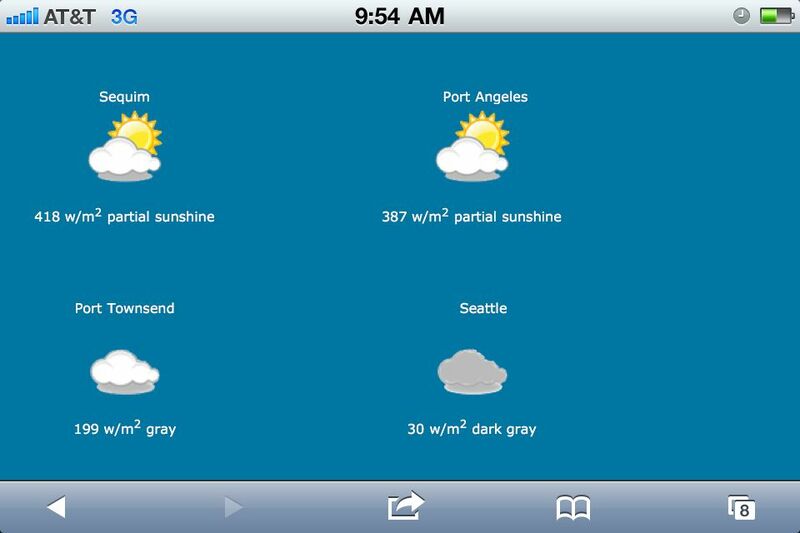 Furthermore, the forecast for this next week, June 18-24 is overcast and stormy for the most part. Let’s hope the last week of June and early July see some changes. If you live in Seattle, get into a rain shadow area, either the NE Olympic peninsula or East of the cascades. Prologue, as I am writing this mid-day Monday, June 18th the rain shadow is fully cranked up during yet another low pressure frontal passage. Note, my measurements are based on actually sunlight hitting the ground, whereas the National Weather service data from Seatac is based on sky conditions, so the numbers likely differ slightly, with mine usually being a bit more optimistic. 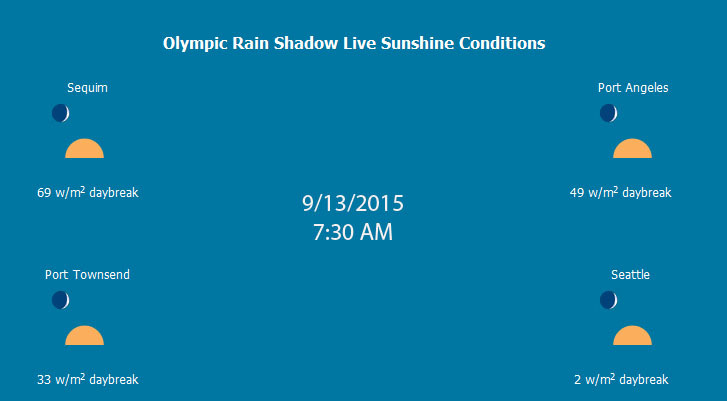 See some of my rain shadow sunshine reports for more data and information about data collection and sunny day calculations. Well I think we all know by now that Sequim, Port Townsend, Port Angeles, and South Whidbey are blessed with sunshine quite a bit more than surrounding areas. 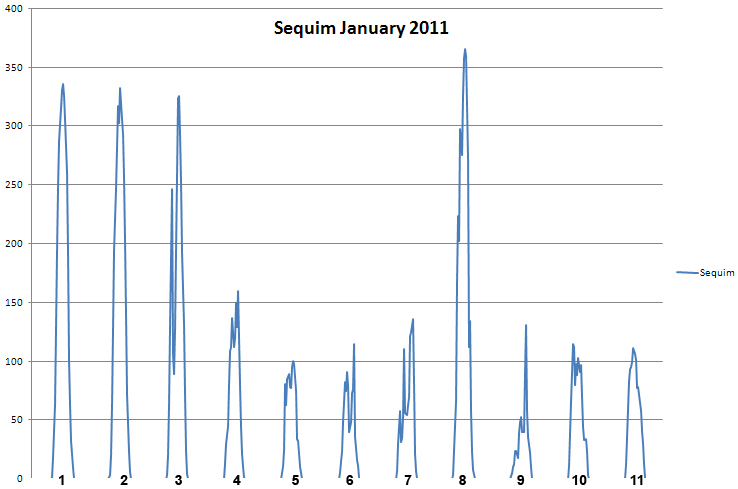 I often commute between Seattle and Sequim and the pattern repeats itself consistently. I did a blog post with a play-by-play of this trip in January 2011. Scott Sistek from Komo also has a popular blog post up with a video of the trip over from Sequim toward Seattle. 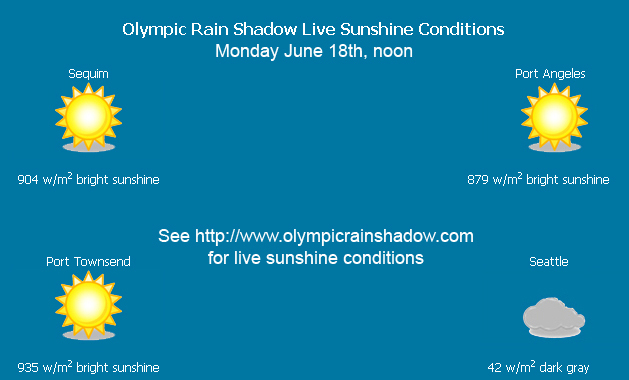 Before I do the trip now I often check the live sunshine conditions page on olympicrainshadow.com; this was a new feature I got going a few months back that polls four radiation sensors in real time to give you instantaneous solar radiation levels and sunshine conditions in Seattle, Port Townsend, Sequim, and Port Angeles. 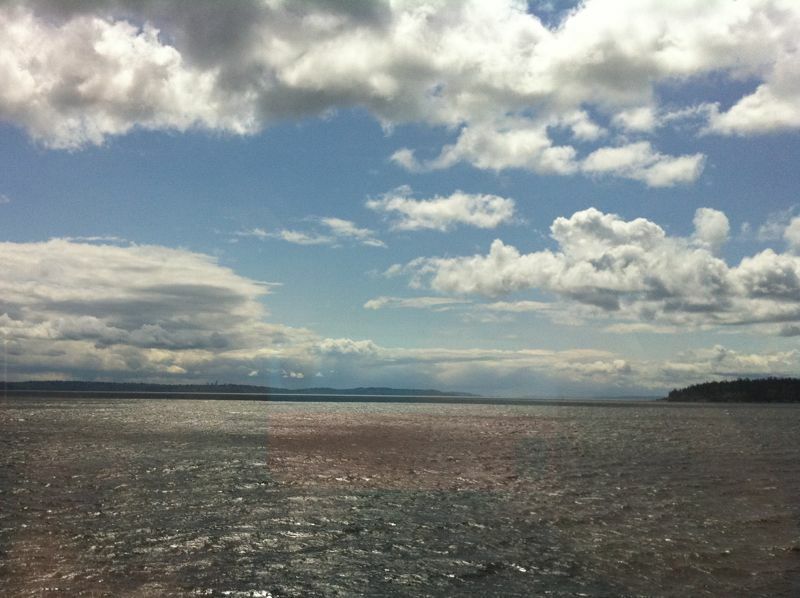 Well imagine my surprise on Tuesday May 1st while sitting in the ferry line in Edmonds on a nice sunny morning, when I checked the page and saw Seattle with bright sunshine, and the other three locations with cloudy conditions. I’m saying like yuk, I think I’m heading into a reverse shadow situation! 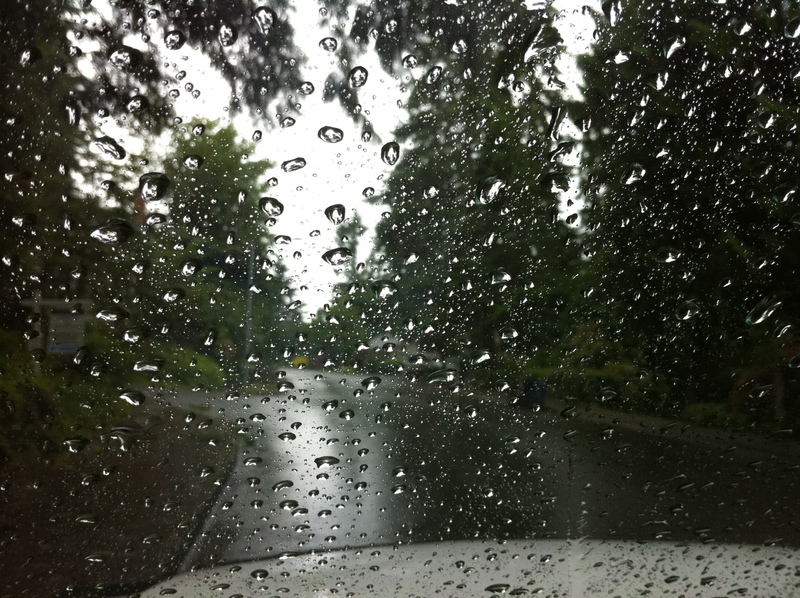 What was all the more ironic was that just recently Cliff Mass, of UW’s department of Atmospheric Sciences, had done a blog post on our rain shadows in this state, and got quite deep into the topic of the Olympic rain shadow wandering down and visiting sunshine on Kitsap and Seattle. Lets take a look into what was going on on May 1st. 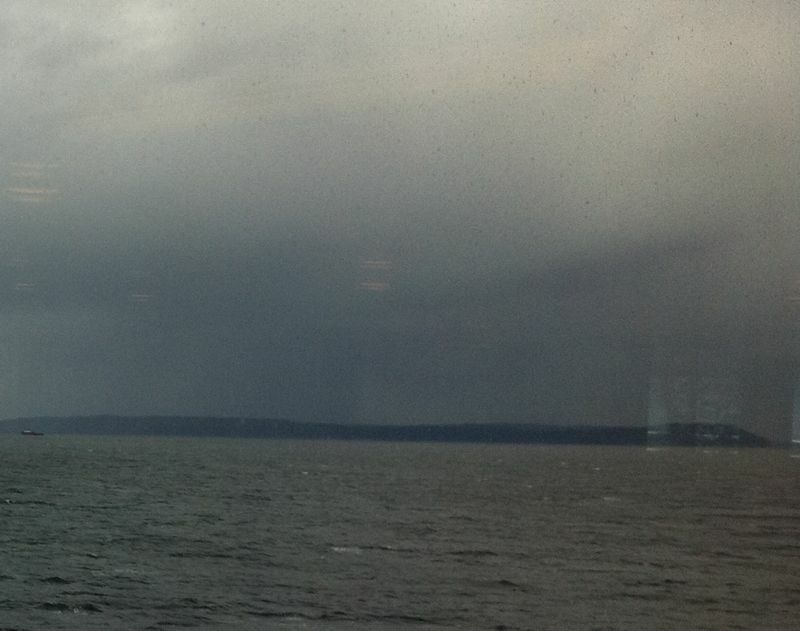 Here is the view from the Edmonds Kingston Ferry looking north toward Whidbey and typical rain shadow country, pretty dark, eh. Here is the view from the Edmonds Kingston Ferry looking south toward Seattle and typical moss alley country, pretty bright, eh. And here is the view in the neighborhood of Discovery Bay on Rt. 104, where it usually clear ups up, pretty grim, eh. And here is the satellite photo of that time, pretty clearly showing that the shadow had wandered down south. As Professor Mass had pointed out, this situation happens when the winds go more west-east than the typical southwest northeast winds we see during winter storms. So I took a look at the winds out on Hein Bank buoy (right in the middle of the Eastern Strait) for May 1st, and sure enough they were running close to 270 degrees West all morning. So indeed we have a clear case here of the wandering shadow. And this time the spotlight was on Seattle! Many of us are aware of the unique climate and beauty of the Olympic Peninsula. But, not so many are aware that this area has served as the setting for a number of very good books, some of which have hit the New York Times best seller list, and all of which are rich with references to local landmarks and lore. 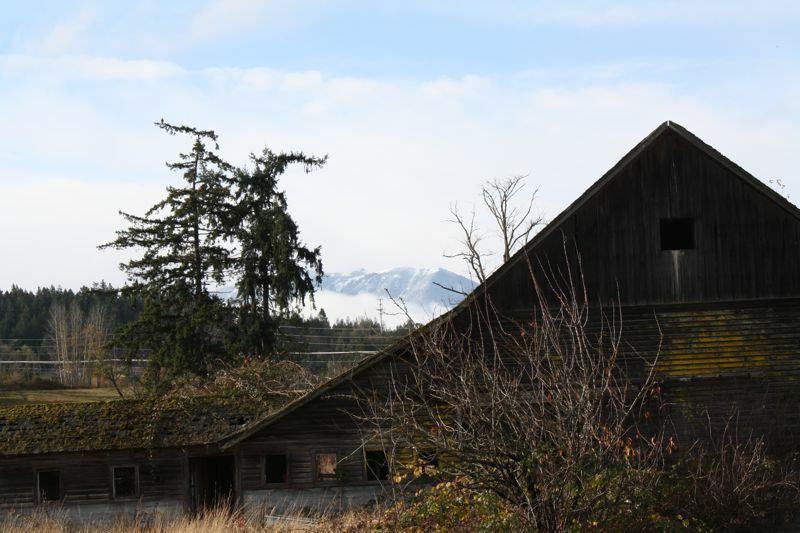 If you love the Peninsula, you will be pleased to find exquisite detail about many local landmarks, from the Low Divide to the Elwah dams, from to KFC in PA to Jamestown in Sequim. Furthermore, Jonathan weaves in themes that touch on important modern day issues such as wilderness conservation, socioeconomic strife, and the criminal justice system. This book is not a simple read. Jonathan develops two sets of characters and plots and swaps back and forth between the two. So you do need to concentrate at times, but overall this is a remarkable book, set in a remarkable place, which details quite a bit of the history of the region. Beyond the Trails is a work of non-fiction which traces the life of one of the Peninsula’s heroic pioneers, Herb Crisler, through the early and mid 1900’s. Herb is likely the man with the most experience in the remote and spectacular areas of the Olympic Mountains who has ever lived. Herb and his wife Lois lived at Humes Ranch in the Elwah valley in the 1940’s and 1950’s and traversed the mountains hauling early film cameras to capture the beauty of the Olympic wilderness. The couple showcased their films on national tours, and eventually sold much of the footage to Walt Disney, who made a famous 1950’s era animal film from it. Like Jonathan Evision, Francis Caldwell’s historical research and level of detail is very impressive. Furthermore, in this straightforward biography, he uses the passion and transformation of the main character to make a strong case for the value of the wilderness in a non-confrontational and entirely convincing approach. The book is replete with local landmarks and lore. Have you ever wondered what the “resort” was like at the Olympic Hot Springs? Did you know that someone lived on top of Hurricane Hill in a fire lookout for an entire winter in the mid 1940’s? Can you imagine someone summiting the three highest peaks in the Olympics while carrying carrier pigeons and a film camera, all in one trip, without carrying ANY food? The contrast between Herb Crisler in “Beyond the Trails” and the Press group in “West of Here”, both of whom were financed by Seattle media to take on Olympic crossings, could not be more stark. The Press Expedition was lucky enough to survive trying to drag wooden boats up the Elwha and “post hole” through the snows of winter on the flanks of Mt. Olympus. They are very lucky they didn’t go the route of the Donner party in California. Herb Cristler thrived in more than one hundred difficult expeditions in the Olympics because he knew the climate, the topography, the animals, and his own limits. The characters in David Gutterson’s coming of age novel, The Other also mount expeditions through the Olympics. 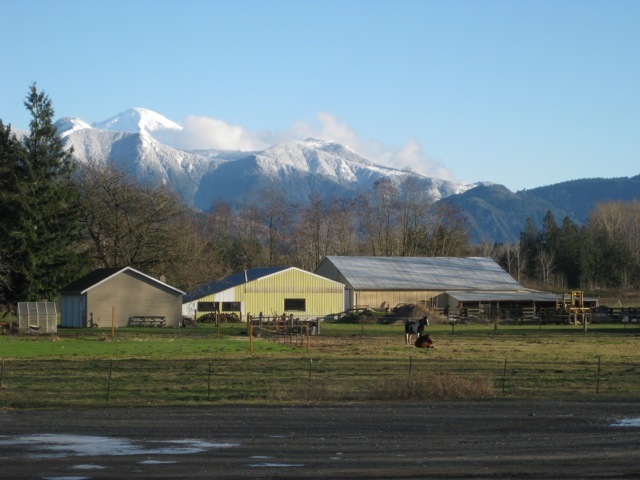 Gutterson, the award winning author of “Snow Falling on Cedars”, chose the West End of the Olympic Peninsula as the backdrop for much of this work. The book chronicles the life of two teens raised in the Seattle area who grow infatuated with the more remote areas of the western Olympic mountains, in particular those accessible from the South Fork of the Hoh river. Both of the boys are well educated, smart, and interesting young men. Yet some combination of family, education, and the 1970′s, leads one of the characters to the fringes of the social and geographical landscape. He ends up living in a cave up off the South Fork Hoh, taking a more philosophical and ultimately more tragic path than either Herb Chrisler or the Press Expedition. All of the above are impressive works set on the Peninsula. If you are looking for lighter fare, there are a number of “quick reads” which make for good casual reading while still being full of local landmarks and lore. 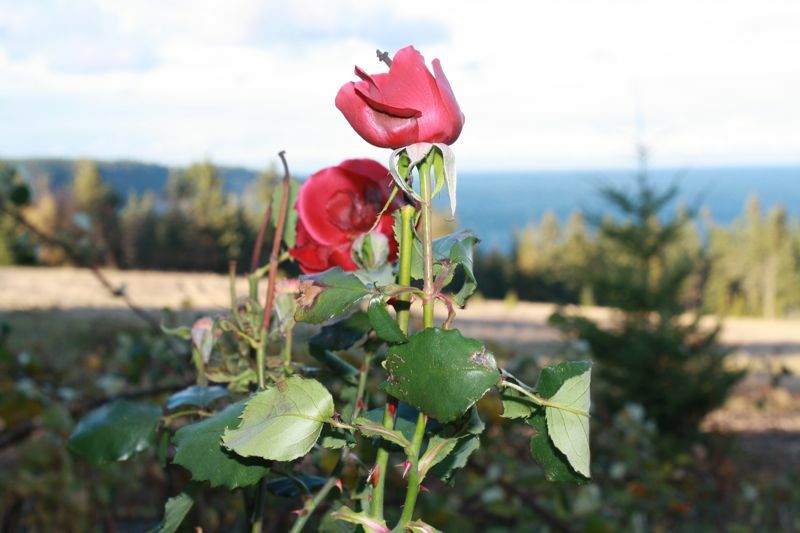 The Lady of the Lake, 2000. , Mavis Amundson, This short non-fiction account of a murder in the 1950’s features Port Angeles and Lake Crescent as a backdrop. Tubal Cain, Hal Burton, 2008. This mystery, set in the early 1900’s, features Port Townsend, Quilcene, the upper Dungeness valley, and the Tubal Cain mine as a backdrop. The Cave of Secrets, Hal Burton, 2002. This mystery of buried Chinese treasure, with a twin timeline somewhat like West of Here, features La Push and Neah Bay as a backdrop. We’d love to hear about your favorite Olympic Peninsula books! Does the Fog Machine trump the Rain Shadow? The answer is unfortunately yes. For the last seven days we have been in blocking pattern with a ridge of high pressure centered to our west out over the Pacific Ocean. This has prevented low pressure weather systems of any strength from forming and passing through our area. The result has been very little wind and very little precipitation. These conditions mean stagnant cool air at the surface; cool air holds less moisture, so the moisture present in the air precipitates out in the form of microscopic water particles and creates the dreaded fog. The rain shadow forms when we have strong winds coming from the south west; well we have none of those in the current weather regime, so the fog often just “sits”. Cliff Mass recently wrote an excellent summary on winter time high pressure and the fog machine here. There is though consistent relief from the fog. Ironically those same Olympic Mountains that block the storms during an active weather pattern, jut right up through the fog layer into the bright sunshine during stagnant patterns. 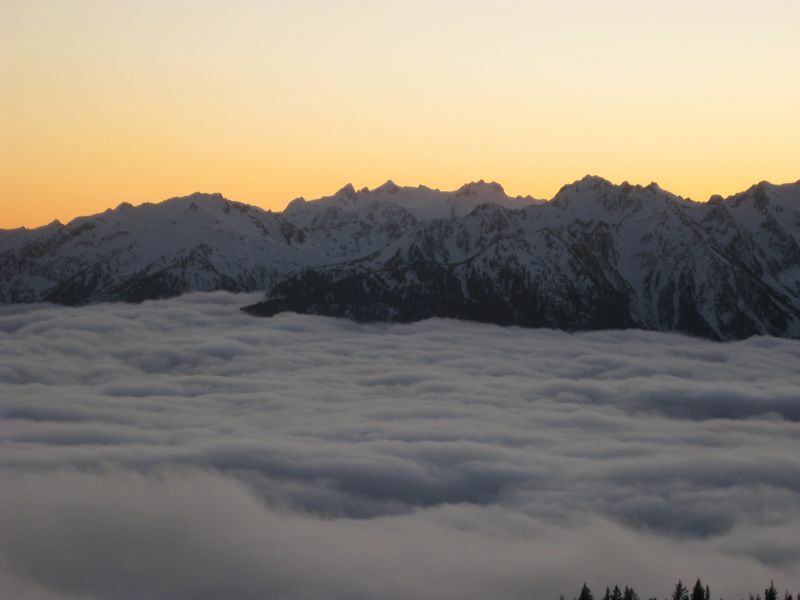 The image below, taken on Wednesday December 7th looking out west over the Elwah Valley from an elevation of approximately 5000 feet, shows the sea of lowland fog that invaded the lowlands and the crisp sunset over Mt. Olympus. 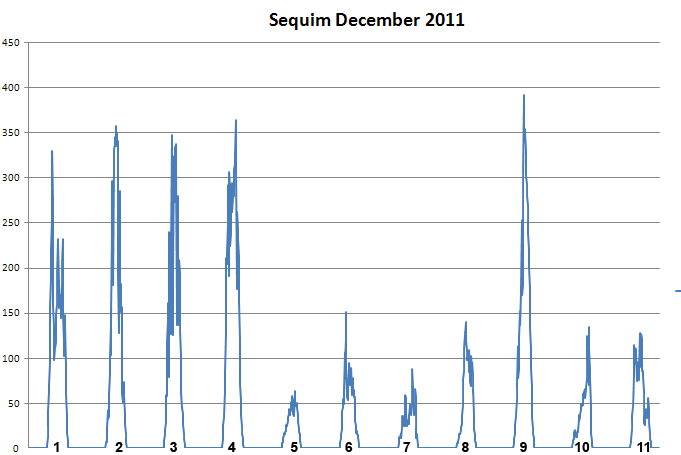 From December 5th to December 11th 2011, the Sequim Weather station recorded 6 of 7 days as overcast or dreary; December 7th, the date of the above photo was definitely “dreary”. 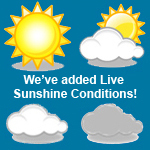 I checked the new live Sunshine page on the website frequently during this period, and most of the time nowhere was recording those nice little sunny icons. Sometimes one city or another might flip to partial or bright sunshine, but then quickly enough it would flip back, showing how fickle the fog can be. While often people will mention how atypical it is that we get a period of stagnant weather during typically “stormy” December or January, in my experience it is quite common. Last year we were slammed with a similar pattern during the month of January, while December was much nicer than this year. 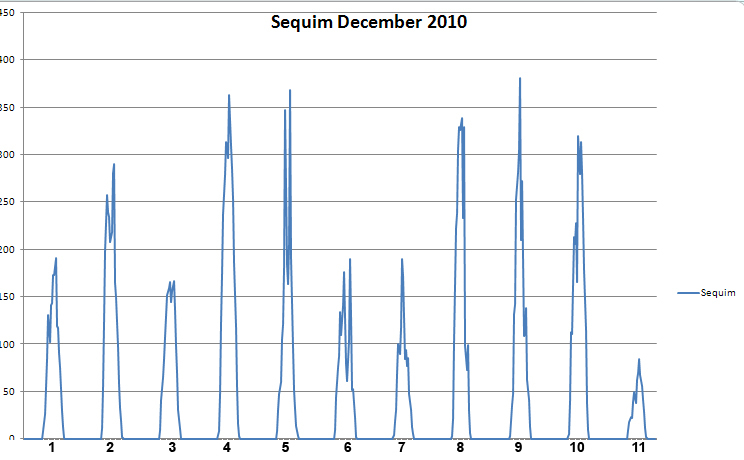 Here is a quick summary of the first 11 days of three different months at the Sequim rain shadow weather station. This December we’ve had 2 dreary days, 4 cloudy days, and 5 partly sunny days. Last December was much better, no dreary days, 2 cloudy days, 6 partly sunny days, and 2 mostly sunny days. Last January was more similar to this December, with 1 dreary day, 5 cloudy days, 2 partly sunny days, and 3 mostly sunny days. Below are the radiation graphs. In summary, the fog machine kicks into gear exactly when the rain shadow goes into neutral. This is usually “no where to run, no where to hide” weather in the lowlands, but the mountains do offer some nice relief. 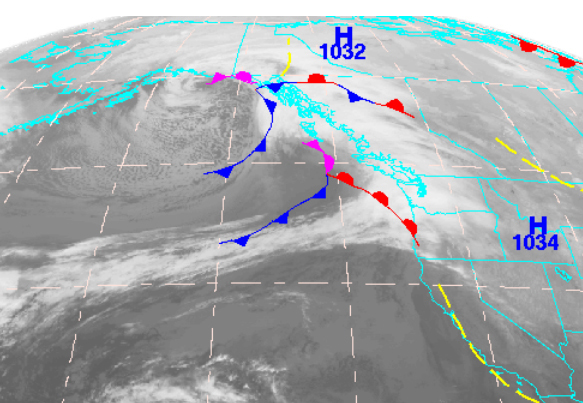 A classic early winter storm paraded across the Pacific and slammed into the Olympic Peninsula on November 16 and 17. Given the storm track from the WSW, it was interesting to follow its impact on the rain shadow. Here is what it looked like approaching the coast on Wednesday morning. 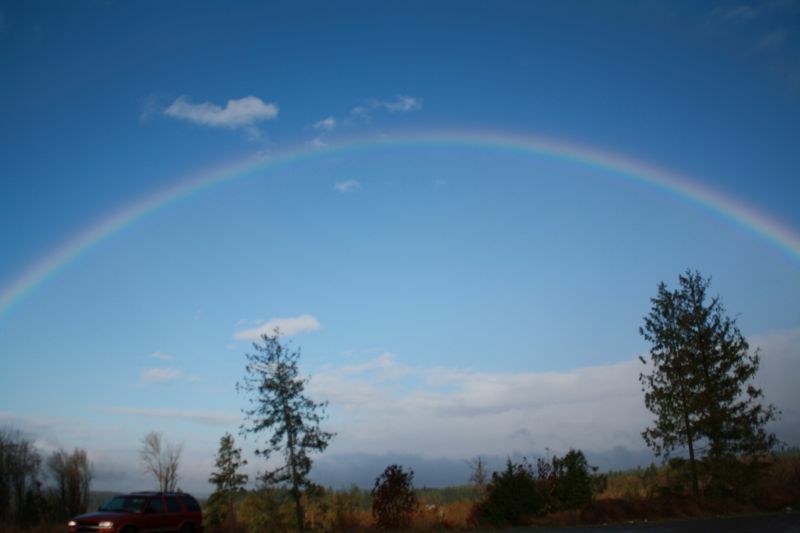 It was pouring in Seattle when I left for Sequim on Wednesday November 16th at about 1PM; this is the chronology of how things turned out…. Things clear up east of Discovery Bay and there is a nice rainbow at about 3PM. West of Discovery Bay, its blowing like crazy, but nice and clear…. 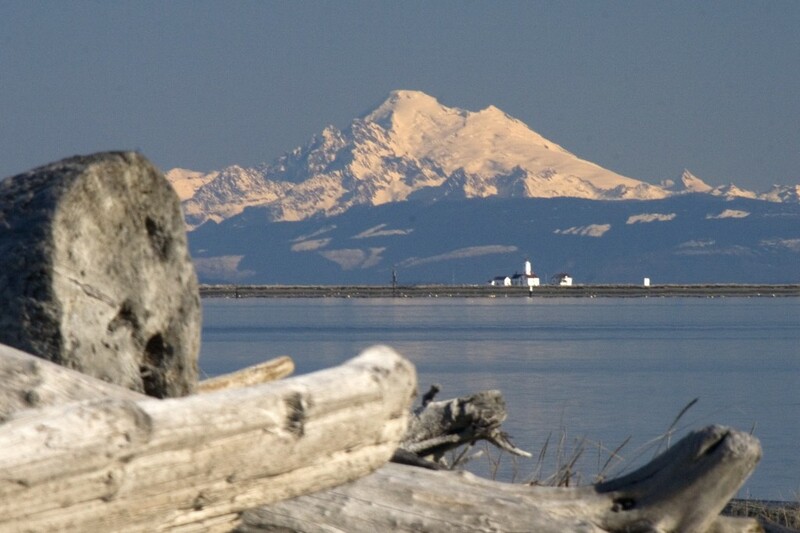 And its pretty nice in Sequim…; see fascinating blog post by Scott Sistek for a photo of Seattle’s dreary weather and a video from Keystone at this same time. 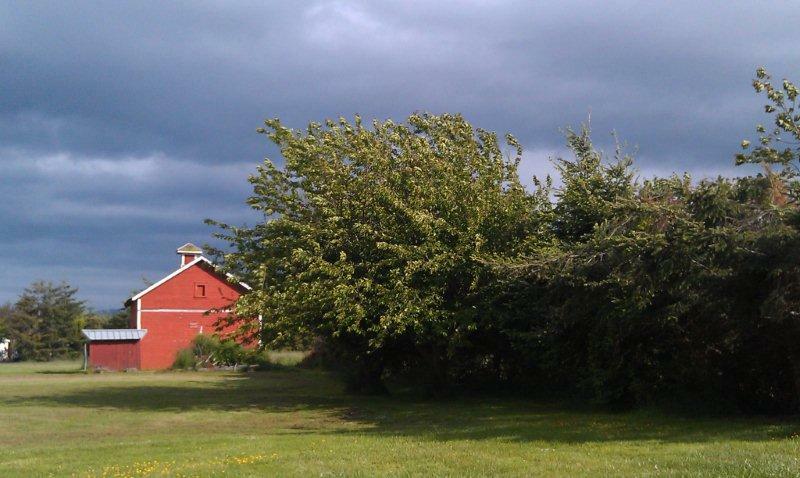 Overnight Wednesday night, some wild weather moved through. Someone told me the rain shadow weather station recorded a 39 mph gust, it rained quite a bit, as the cold front came in, and snow levels came right down close to sea level. 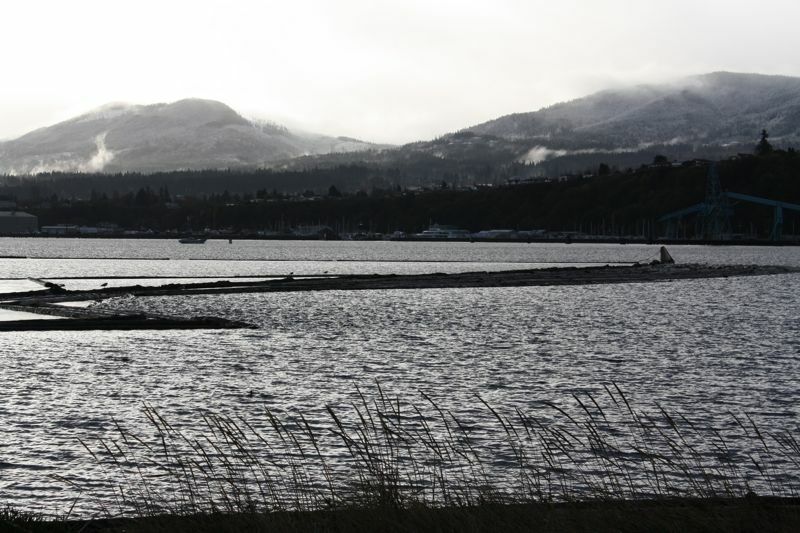 The sun in Port Angeles was relatively short lived….as little but a bright spot is visible from Ediz Hook, though the overnight snow on the hills is evident. Finally, on the way back to Seattle, I took a detour through Port Townsend, where they too were benefiting from the rain shadow. 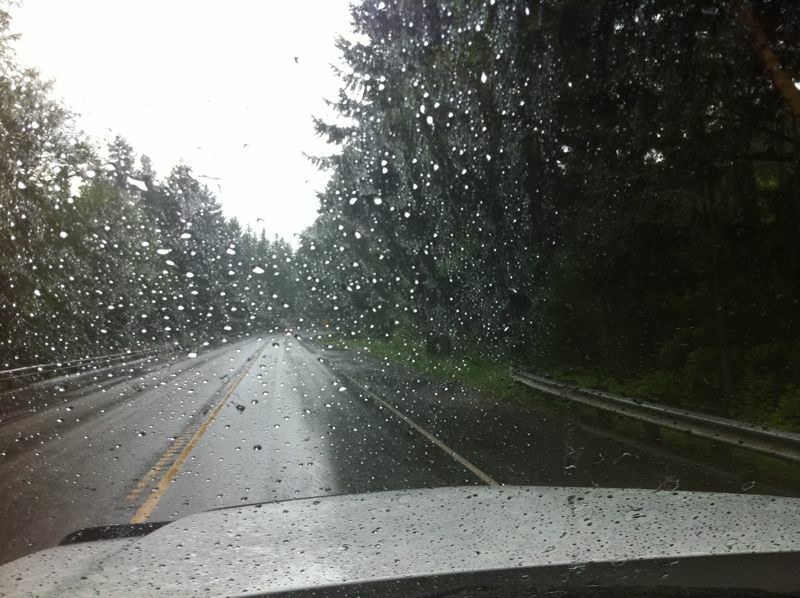 And somewhere between Kingston and Bainbridge, I turned on the windshield wipers.